So yes, Valentine's Day has been and gone. But from one (unattached) girl to another, Happy Valentine's Day! ex, he forgot their anniversary (again), he told her 'it's not you, it's me' or she's feeling lonely and sorry for herself. need when that shoulder to cry on is unavailable. "he's not that hot anyway" and my favourite "go and buy some shoes". 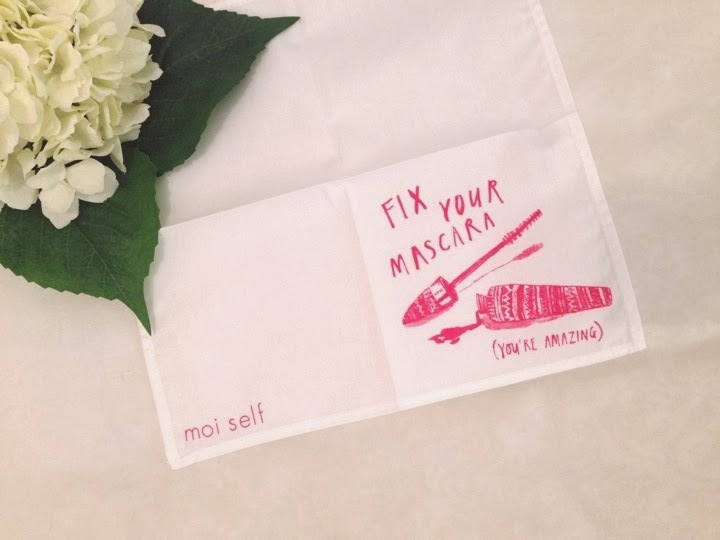 So, to me, from me for Valentine's day, "fix your mascara, (you're amazing)" girl! 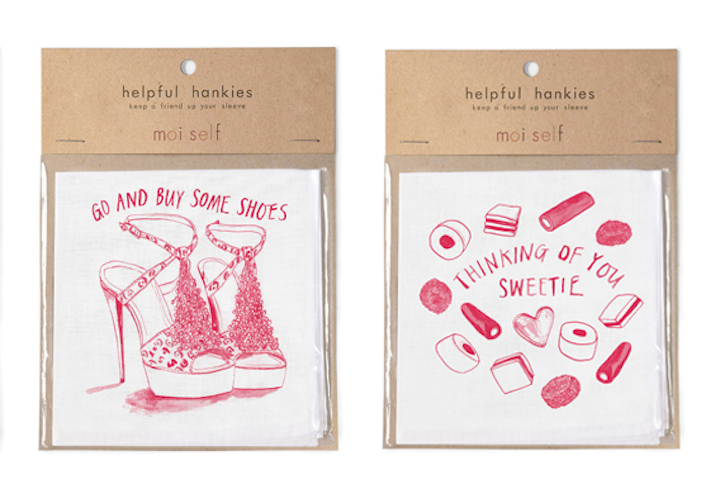 A hanky costs a small $12.95 and is available at moiself.com now. They are 100% cotton and can be personalised by writing your own message on the card back. Mr and Mrs Bartel, Part Deux. From The Archives | Ashley Olsen. Blogger Style | Maiden Sydney. Daria For Mango Spring 2014.